Greetings and salutations! I had hoped to finish this article last month because of Star Wars month, but it took me another month on account of moving apartments (internet down for 15 days) and then travelling out of state. Now, finally, the article is finished. I present to you: Part One of the Top Ten Star Wars Games of all time. 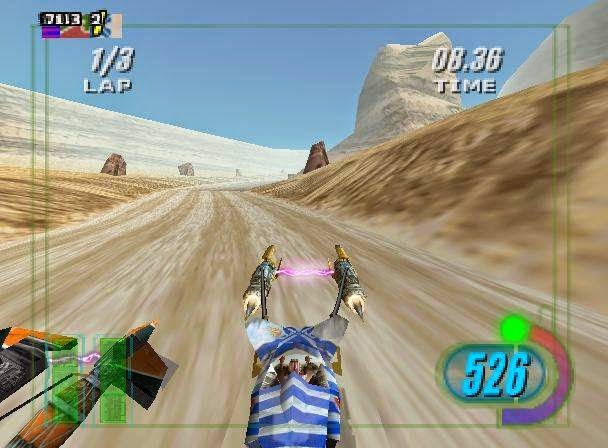 Episode I Racer - One of the best Star Wars games to not make the list, Racer was a lot of fun to play. Played on the N64, it’s a bit of an older game, but that hasn’t diminished any of its charm. This is one of the few games that has managed to stand the test of time – even with the limited processing power of the N64. It’s one of the most enjoyable things to have come out of Episode I, and a recommendation for any retro gamer. Star Wars Rogue Leader: Rogue Squadron II - This game was arguably the best launch title for the Game Cube. It immediately called to mind the old rail shooter on which it was based. Only this game was bigger, better, and with more gameplay. 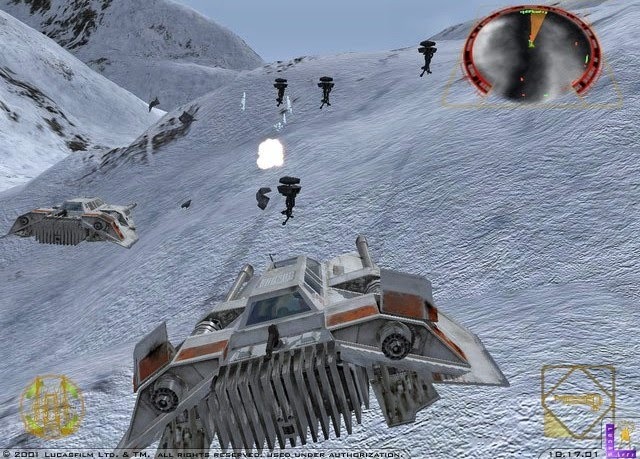 It’s been said that this game did the battle of Hoth better than any other Star Wars game – and that’s a lot of games. Many of the battles are those seen in the films, and often times clips from the movies themselves are provided. A fun game to play, with a feel like you’re actually playing through the movies, makes this game an excellent Star Wars game. 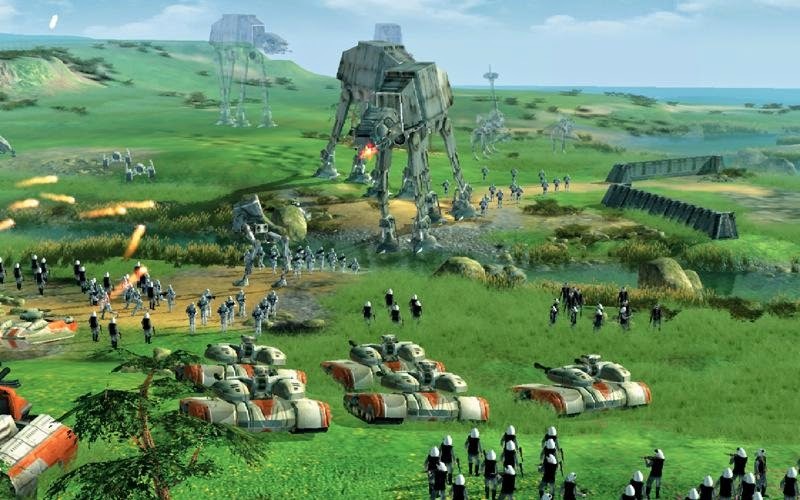 There is something satisfying about playing an RTS Game in the Star Wars Universe. In this game, you can choose to be either the Empire or the Rebellion, and it’s an amazing feeling building a massive fleet from scratch. If you enjoy RTS Games, give this game a try. 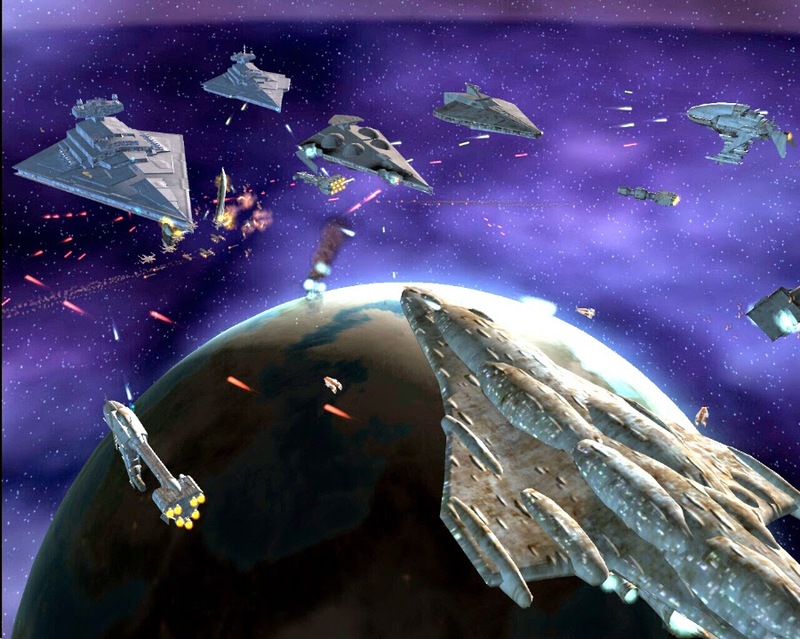 From massive fleet engagements, the game lets players go all the way down to battles on a planet’s surface, covering a wide variety of gameplay. One thing that separates the Star Wars universe from other franchises is the giant battles that take place. This game lets you control those battles both in space and on the ground. The sound and the music help call to mind the grandiose feel of Star Wars that we grew up watching. Even more, we can actually control a fleet of starships as they make war on an enemy world – always something enjoyable. For a similar gaming experience: Look at Star Wars: Rebellion which is basically the predecessor to this game. Rebellion featured a bigger galaxy but lacked ground battles. Your fleets could be much larger, which is always fun to see. Released much later than many of the other games on this list, the Force Unleashed was one of last, successful games produced by Lucasarts. This game introduced a different way to play Star Wars games – by using the Force. This was an incredible game to play because it was a lot of fun. It really showed what the Force was capable of, which is something that the movies and most of the other games lacked. 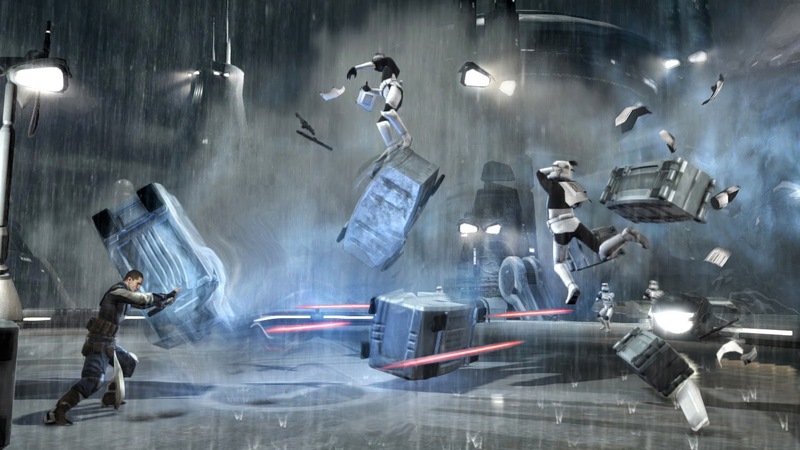 Hacking and slashing your way through waves of storm troopers was great fun, especially when a well-timed force-blast will scatter your enemies like leaves blown by a leaf blower. With an interesting main character who worked for the big man himself, the game stands out as one of the better Star Wars games. For a similar gaming experience: Look at the Force Unleashed II. 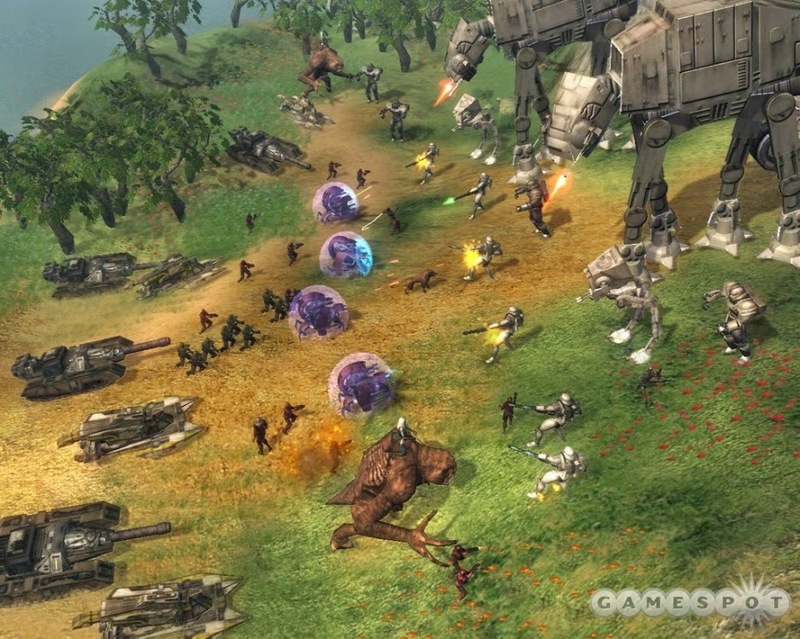 While the sequel wasn’t as long as the first game, it featured the same grandiose force use and hack-and-slash style that players enjoyed from the first game. The LEGO Games are delightful fun, and they have a history of being quite addicting. With the Star Wars Universe, LEGO Star Wars brought a very cute take on the original trilogy that we all grew up loving. The game featured great co-op gameplay, and it managed to be extremely fun while it did so. This game made this list because it's quirks and humor remind you of the fun stuff about the Star Wars films.Watching the little LEGO people mimic and pantomime the scenes from the films with their own special little style is a real pleasure to see. 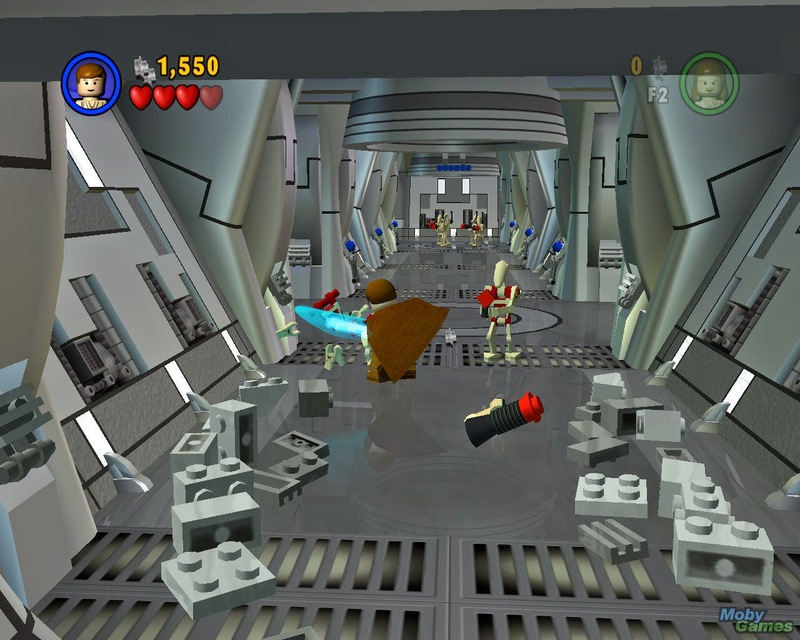 Being the first of this line of games, LEGO Star Wars paved the way for some excellent follow-up games. In addition, this game opened up the market for other franchises under the LEGO banner. 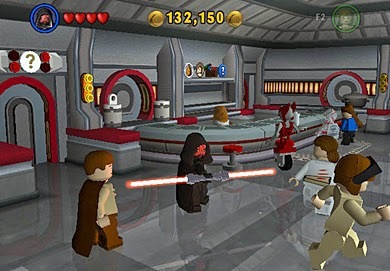 For a similar gaming experience: Look at the many other LEGO Star Wars games, particularly LEGO Star Wars: The Complete Saga.